India Successfully Launches GeoSynchronous Rocket To Put 2000+ kg Satellite in the Orbit. On 8th September India put INSAT-3DR, an advanced weather satellite, weighing 2211 kg into Geostationary Transfer Orbit (GTO) using GeoSynchronous Satellite Launch Vehicle (GSLV-F05). GSLV-F05 vehicle is configured with all its three stages including the CUS similar to the ones successfully flown during the previous GSLV-D5 and D6 missions in January 2014 and August 2015. 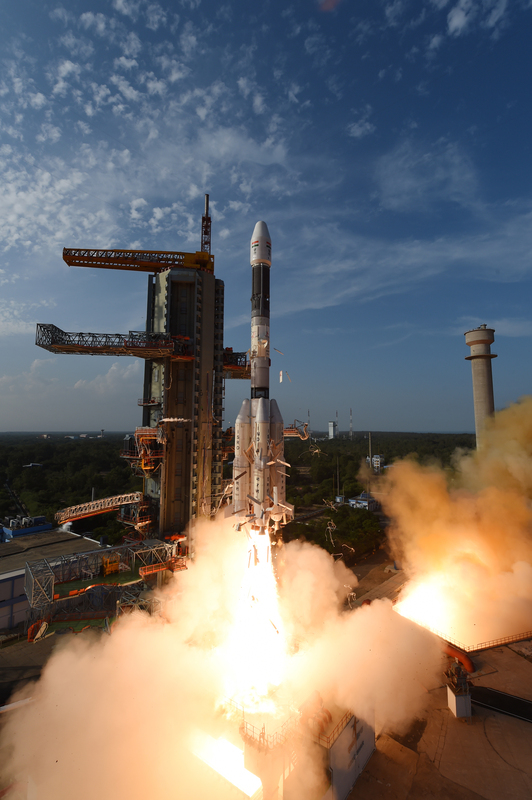 GSLV-D5 and D6 successfully placed GSAT-14 and GSAT-6 satellites carried on-board in the intended GTOs accurately. Hearty congratulations to the team behind the successful launch, and wish them all the best in coming years. India is proud of you! !